Spring and Summer are my two favorite seasons. While the warm weather, longer days, and social acceptability of eating ice cream whenever you want are some of the reasons I love this time of year, I’d be lying if I said that warm-weather fashion wasn’t also a major factor as well! And, while shorts, t-shirts, and sandals are great, they’re not the only pieces around. I’m an even bigger fan of the casual, daytime-appropriate dresses that crop up at this time of year. 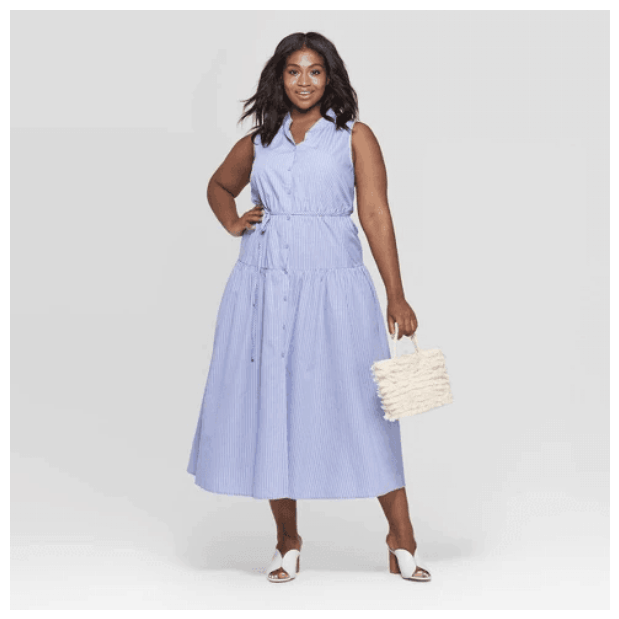 Inspired by the joys of warm-weather dressing, I’ve created a list of six casual and affordable spring/summer dresses that will look great on all sizes. They’re sure to have you excited for the temperatures to rise! There’s nothing quite like a lightweight shirtdress to achieve a polished, preppy look for Spring or Summer. Personally, I love the longer length and tie-waist detail, which both put a fresh spin on a more classic silhouette. Style the dress with a pair of fabric slide sandals and a cute (faux) leather tote for a timeless and chic look. 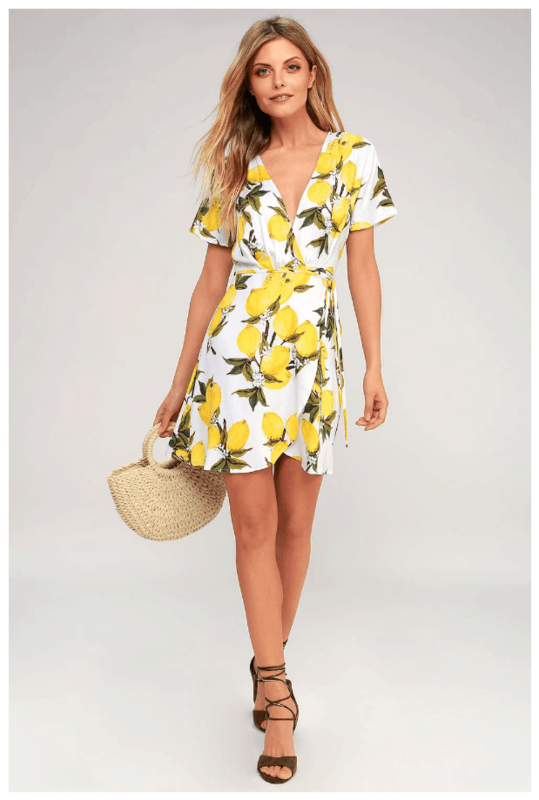 This trendy wrap dress practically screams “sunshine” — not to mention that its fun lemon print reminds me of the Dolce & Gabbana Summer 2016 collection! For an easy warm-weather look, wear this number with a denim jacket, some white Keds, a small saddle bag, and round sunnies. Large gold hoops and dainty bracelets are the perfect way to complete the ensemble. For a tropical, vacation-y vibe, just throw on this breezy off-the-shoulder dress. The muted shades of green on this dress are what I like to call “almost-neutral,” meaning that, while they aren’t traditional neutral tones, they’ll still look great with most other colors. I like the idea of wearing the dress with all-black accessories. Think flat espadrilles, oversized sunglasses, and a large tote. They’ll give the look a modern vibe. For the finishing touch, add a couple of delicate gold necklaces. 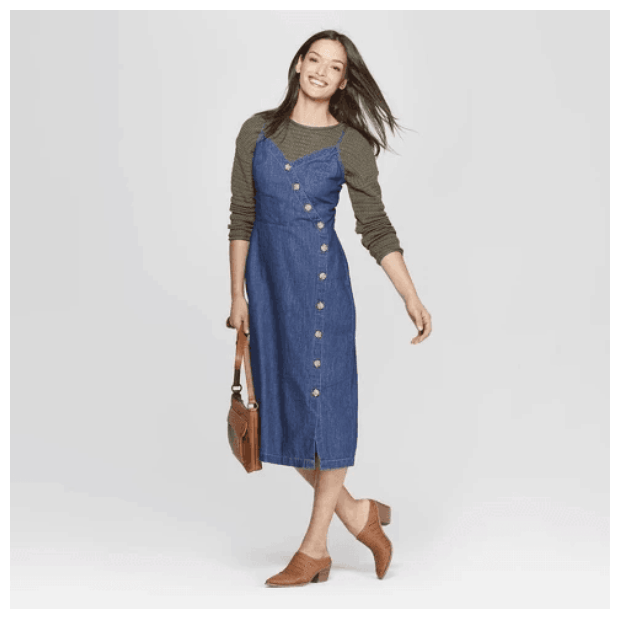 Midi dresses will never not be in fashion, but if you’re looking to shake things up a little, go for this denim asymmetrical button-front style. 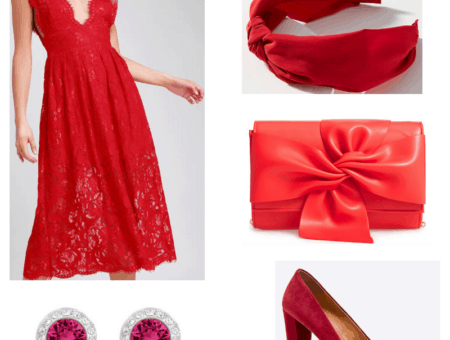 One of the best things about this dress is its versatility. You can wear it with a white crewneck short-sleeved tee underneath for more coverage or alone for less. 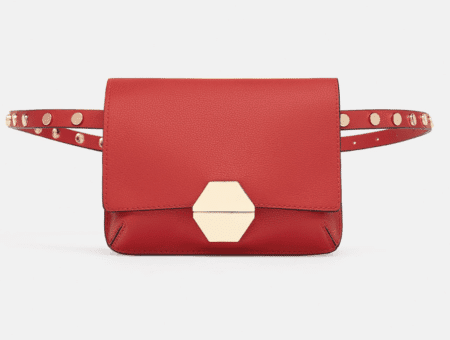 I like the idea of styling it with block-heeled mules, big beaded earrings, and a colorful bag for a quirky feel. If you’re looking for a simple dress that you can throw on and go, then this knotted t-shirt dress was made for you! I absolutely love the knot detail at the side, as well as the folded sleeves — details that instantly up the style factor! For a casual-cool look, pair this dress with flat gladiator sandals, a mini backpack, and a woven friendship bracelet or two. Boho girls, this floral-print v-neck midi dress has your name written all over it! With its fluttery kimono-style sleeves and side slit, this gorgeous number is sure to have you reaching for it time and time again. 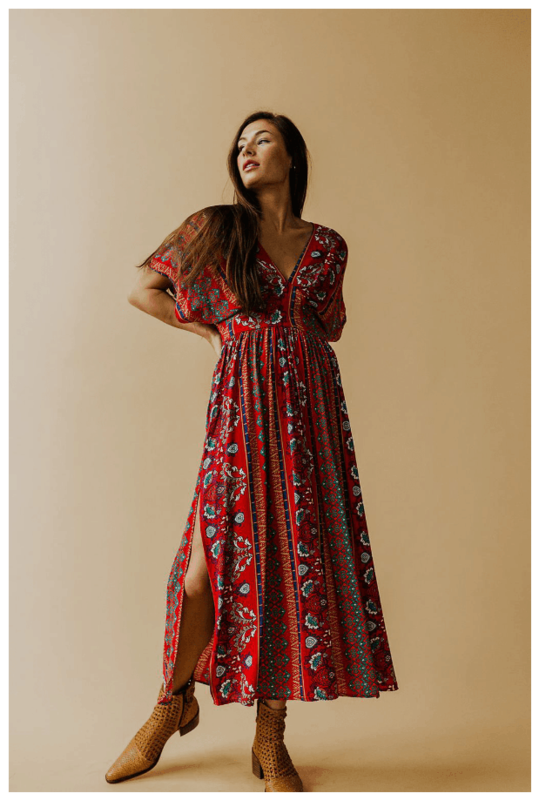 There are so many ways to wear this dress, but it would look especially pretty with cognac brown ankle boots, a wide-brim hat, a chain necklace, and several larger rings. To finish off the ensemble, just add a chic fringed hobo bag. Do you have a casual spring/summer dress that you constantly find yourself reaching for? How do you like to style casual dresses for Spring/Summer? Which of the dresses above suits your style best? Next Perk up Your Rainy Day with These Cute Picks!